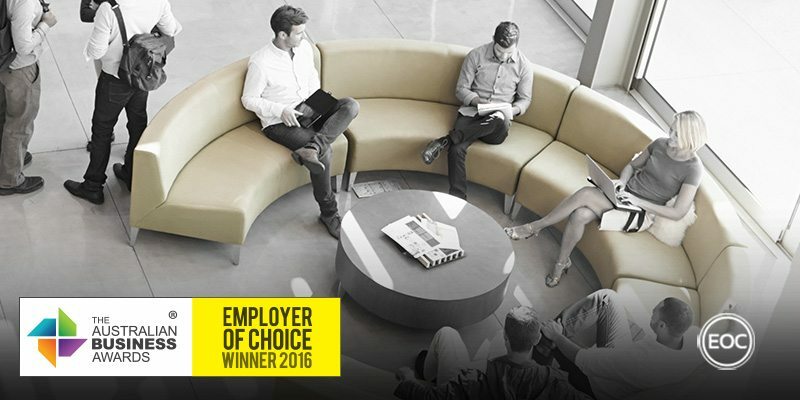 Porter Novelli has been recognised as an Employer of Choice in The Australian Business Awards 2016. Porter Novelli Australia is an established public relations agency with offices in Melbourne and Sydney, employing 20 full-time staff and five part-time staff. As a people based business, Porter Novelli strives to provide its people with a career rather than just a job, offering clear and achievable professional pathways. Workplace culture at Porter Novelli is founded upon three principles: accountability, challenge and team; which are designed to foster a results driven and collaborative professional environment. This focus is implemented through a matrix-based team structure, which involves senior specialists leading teams working across a number of different sectors – providing varied experience and skills development. The Porter Novelli leadership team have implemented a number of HR initiatives designed to align with their company ethos, including: comprehensive induction processes, one-on-one employee consultations, flexible working arrangements and the celebration of special occasions. Viewing ongoing professional development as an integral part of maintaining a competitive edge, Porter Novelli assist staff in the pursuit of external higher education by offering financial and time support. This is complimented by internal learning initiatives, which all staff participate in and contribute to. The team conduct performance reviews regularly, recognising success through rewards initiatives such as travel vouchers, lifestyle gifts and time away from work. Health and safety is also a priority for the Porter Novelli team, adopting a “no injuries” objective aimed at creating and maintaining a workplace that takes all possible steps to minimise injury risk to employees. Health is also emphasised through the provision of flu shots, fresh fruit, standing desks and work health checks.